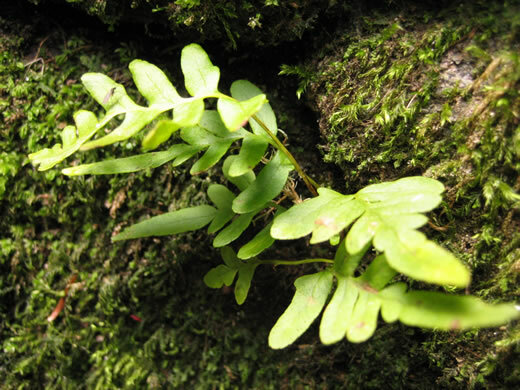 Sori circular when immature, per Flora of North America. 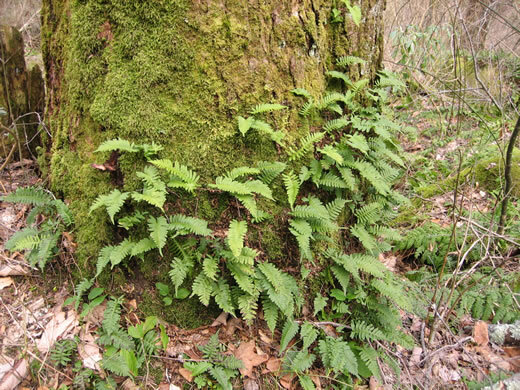 Sori midway between margin and midrib to nearly marginal, per Flora of North America. 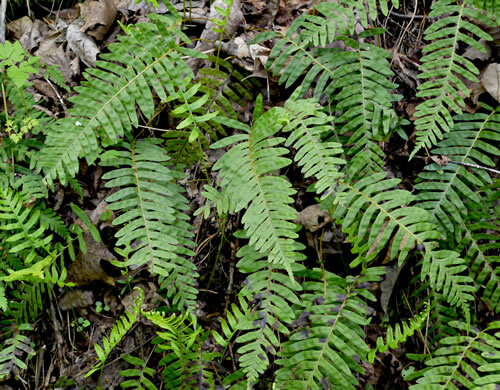 Nearly restricted to the Appalachian Mountains, per Weakley's Flora. 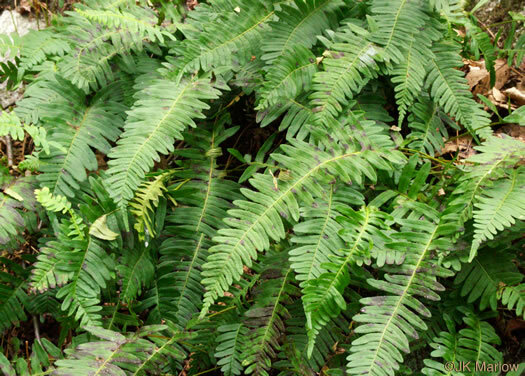 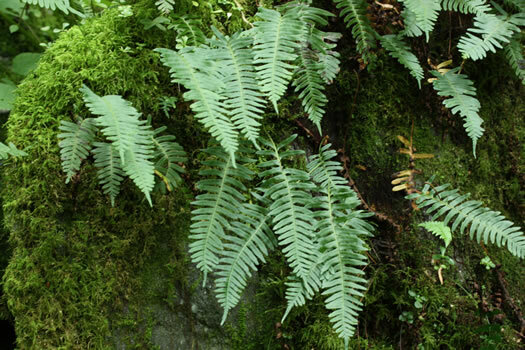 It is one parent of P. virginianum, per Weakley's Flora. 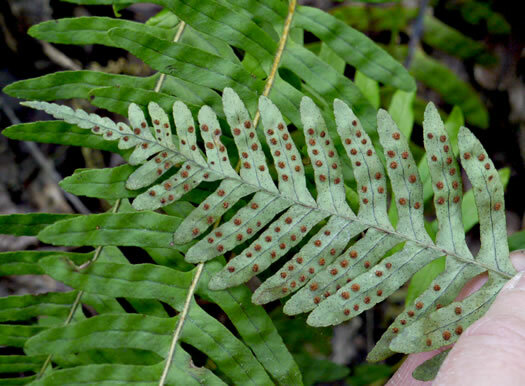 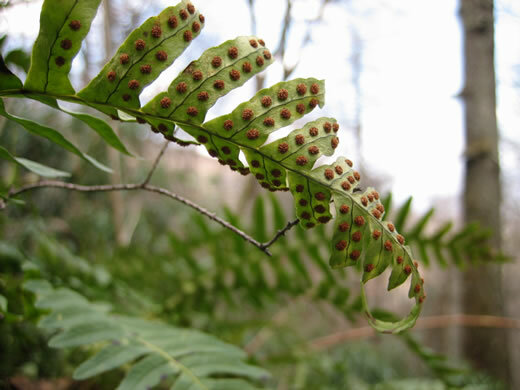 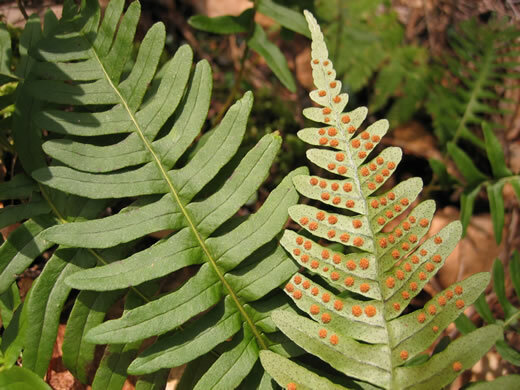 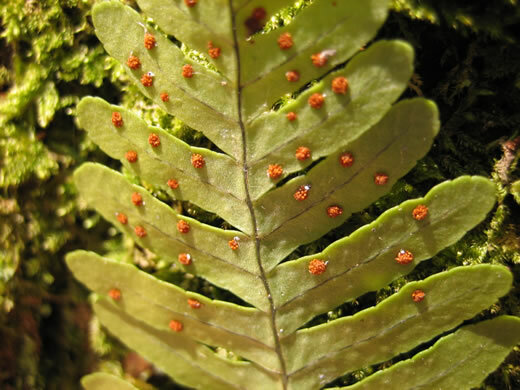 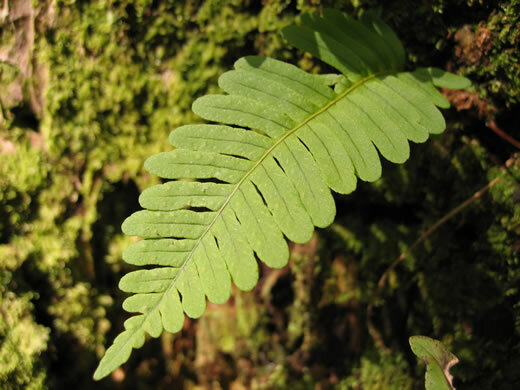 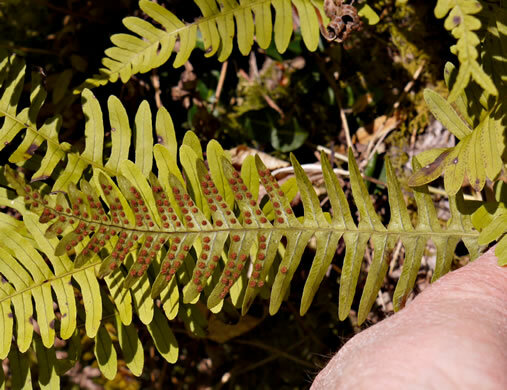 Lobes with narrowed tips [vs. lobes with blunt tips in P. virginianum], per Peterson Field Guide to Ferns of Northeastern and Central North America. 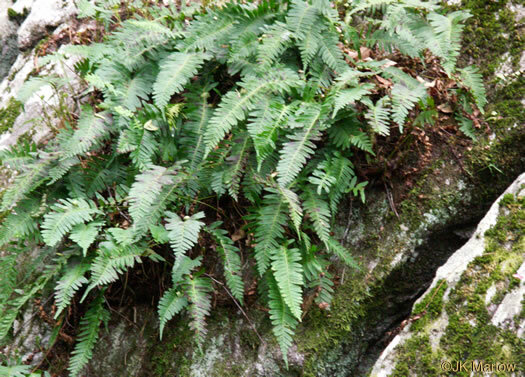 Blades widest near base [vs. evenly wide in P. virginianum], per Peterson Field Guide to Ferns of Northeastern and Central North America. 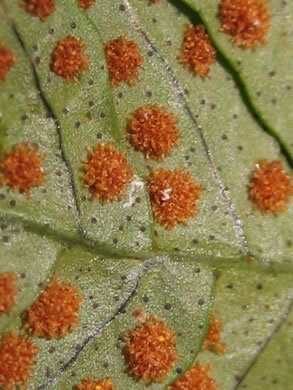 P. appalachianum & P. virginianum somewhat cryptic, and field id problematic, per Weakley's Flora.